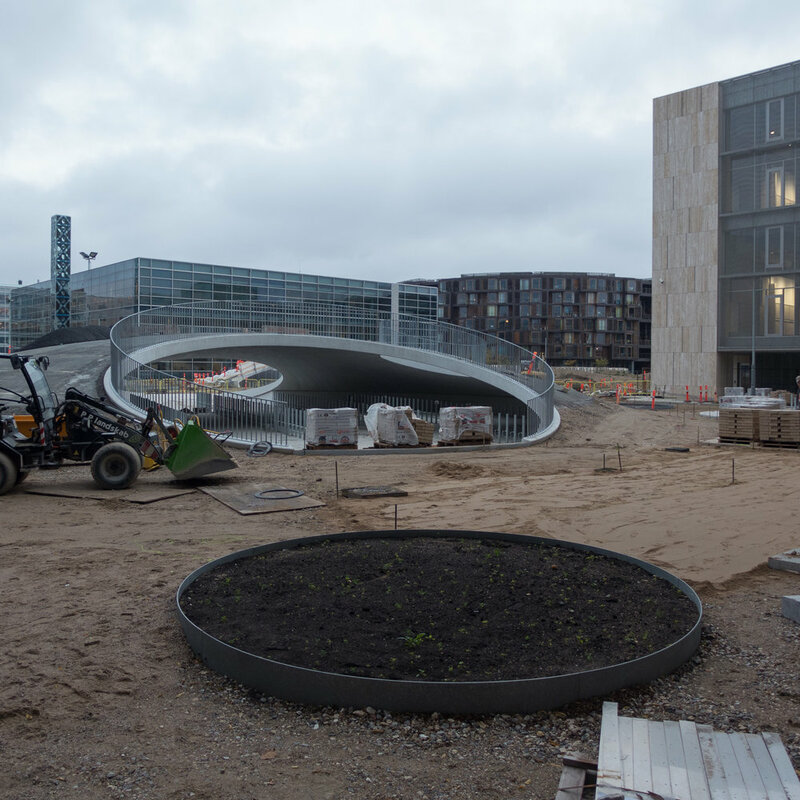 Back in June 2017 there was a post here on a scheme by the architectural studio COBE to re- landscape Karen Blixens Plads – the large public square on the southern campus of the university of Copenhagen. Recently, walking through the university, there was a chance to take photographs of progress. Now in place are the large sunken areas for new bikes stores for the thousands of bikes that thousands of students leave here every day and the main structures of artificial hills have risen over the bike stores so now hard landscaping is going in and then, presumably in the Spring, planting.